Morbid Anatomy: Ornithology Collection, Smithsonian National Museum of Natural History Museum Back Room, Cira 1970s? 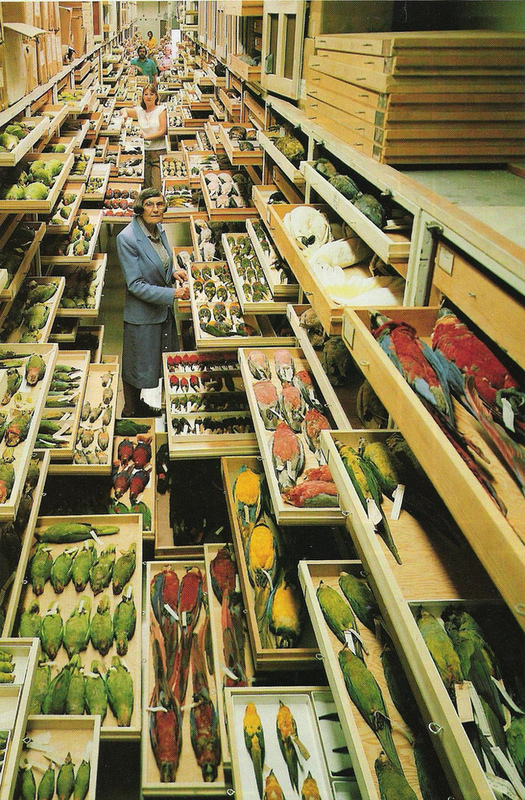 Ornithology Collection, Smithsonian National Museum of Natural History Museum Back Room, Cira 1970s? Found on Chuckbass.tumblr via Crappy Taxidermy. Addendum: This just in from Morbid Anatomy reader Frabotta: "On the confirmation of Dr. Joel Cracraft, Lamont Curator of Ornithology at AMNH, this is the Ornithology collection at the Smithsonian's National Museum of Natural History." Lucky staff. What an amazing thing to be able to touch. It's so expansive. That old woman must feel like a kid in a candy store! I love this so much, and really, really wish this was my job. Thank you, Frabotta! I was unable to figure out where it was from; will add that to the post straight away!